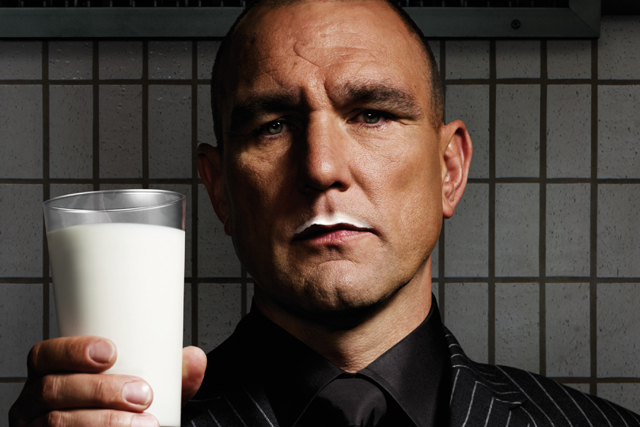 Vinnie Jones has today (11 May) been revealed as the latest high-profile celebrity to front the "Make mine milk" campaign to encourage consumers to drink low-fat milk. The campaign has been running since April 2010 when it launched a series of ads featuring Pixie Lott and Gordan Ramsay. The campaign has been backed by a £7.5m marketing spend from the Milk Marketing Forum of trade body Dairy UK, a third of which was financed by the European Commission. However, the funding will end in October this year. Jones will feature in an outdoor campaign on UK buses from today, supported by digital and press activity, with the strapline: "You know what's good for you." Jones will also star in a series of online videos under a section of the Make Mine Milk Facebook page, called "Vinnie's Advice Corner", in which he will cover a range of topics, from relationship break ups to healthy eating. Sandie Wilkie, chairman of the Milk Marketing Forum, said: "As the campaign funding looks set to come to an end in a few months’ time, we are looking to have as big an impact as possible with our last two planned bursts of activity. "Vinnie has been a great sport and has given us lots of fantastic social media content that will really get people talking." The Milk Marketing Forum will release a final burst of marketing in September this year.